Probably Facebook the most, although I spend a lot of time on Twitter and Instagram. I have 1,500 Facebook friends, 6,500 Facebook followers, 4,500 Facebook likes and 19,000 Twitter followers. Yes and no — it has mattered less and less. It’s really about who I’m connecting with, not how many. Although there will always be power in numbers, the numbers are just a small part of it. Yes, I definitely have downtime with my family. It’s important to unplug from time to time. But it’s hard to unplug sometimes — because I love it! Absolutely — it’s one of the main sources of business. Granted, I run a social media company, so that is to be expected — but I am a firm believer in practicing what you preach. I teach only things that I have vetted myself and know are successful techniques and strategies. My goal continues to be to get more and more intentional with my strategy — making sure I’m taking the time on a daily basis to connect with the people I really want to connect with, and for business that means my clients and potential clients. I would also love to visit Facebook headquarters one day :). Being organized — as soon as I sent a friend request on Facebook or a follow request on Twitter, I add that person to a list. Lists have been invaluable to me to cut through the noise of both of those platforms. For Instagram, it’s been more about being intentional about who I am connecting with and not just connecting with everyone. It absolutely is worth it. The friendships I have maintained and made because of social media are worth it alone. But in addition to that, social media has opened a door to a new industry that didn’t exist 10 years ago. It is the primary source of my business, and I get so much satisfaction from helping companies figure out how social media can make sense for them — and how they can get business from it. 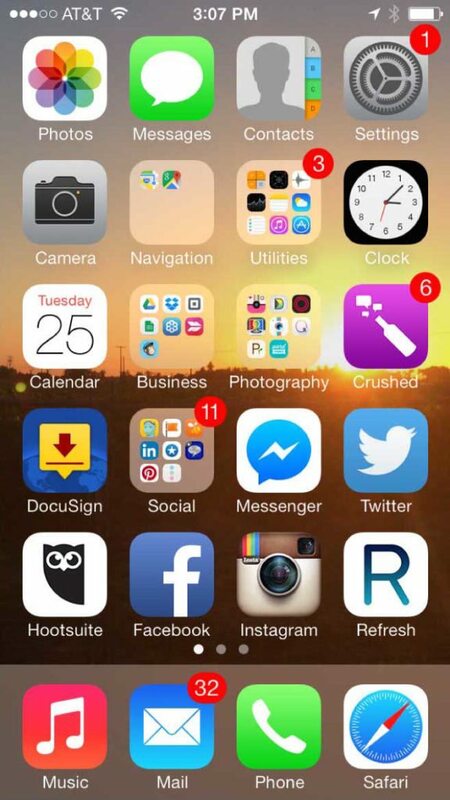 I’m not sure if this is too crazy … but social media is never 9-to-5. I remember when one of my clients, Cartavi, was going to make the big announcement that it was acquired officially by DocuSign. The announcement was going to be made at 6 a.m., and so that morning, I got up at 3 a.m., and made sure I was in San Francisco (where the announcement was happening) by 5 a.m. so I could get set up and be ready for the onslaught of media organizations releasing their stories about it. I remember publishing that Facebook post and our first few tweets when the clock struck 6 a.m. and then watching the hundreds of tweets roll in from customers, colleagues and fans. It was awesome to be leading that conversation and to be a part of such a cool moment for my dear friends (Cartavi founders Glenn Shimkus and Paul Koziarz). Authenticity always trumps everything else. Being completely myself — not too sales-y, but genuine and authentic. Also, providing tremendous value to people. When you give and give in social media — you can then “ask” for the sale or the referral. You can’t expect to sell without giving first (see the book “Jab, Jab, Jab, Right Hook” by Gary Vaynerchuk). Also, the power of one-to-one on social media — never underestimate the value of reaching out to someone personally on social media. It’s that private, one-on-one conversation (I call it hand-to-hand contact) that is so important in building your brand and the trust with the people you want to connect with. Is social media more about social or about business for you? It’s both. You can’t be all business on social media. When you are on social media, it’s like being at a dinner party. Don’t be the guy or gal who just talks business all day long at the party! Think about how you connect with people — we connect with people over personal interests or connections, like being a parent, loving to cook, enjoying wine, being a “dog person,” etc. Social media is the perfect avenue to connect with people on a personal level, which many times can and does lead to business. How do you monitor the channel, push notifications and email? Do you use software/apps to manage your account, and which ones? I use push notifications. For Facebook pages, I use the Pages app. I also use Hootsuite for most platforms to monitor notifications. And I also use tools like SocialMention.com and Mention.net to monitor my brand name and my clients. It really depends. When I need to work on a project or write — I close all my social media windows. I typically am on social media for a bit in the morning, at lunchtime and in the evening. It’s a big part of my day — but again, I try not to get distracted and get done what I need to get done! Absolutely, but I think it will be a little while off. Plus, I love what I do! I’d like to think I am! Yes, although I am sometimes shy in a group where I don’t know anyone! Before social? I’ve always loved the online experience — I met my husband online in 2001 when no one was doing that, and before social media I was also involved in several online communities and message boards. Again, by being authentic. I work only with companies, products and people I like and believe in. Life is too short to work with companies that you don’t enjoy. I always tell my clients that even if I wasn’t getting paid — I would want to be so excited about their product that I’d have no hesitation talking about it on a stage any day of the week! I also believe wholeheartedly in lifting people up around you. I love being a “good finder” and recognizing people publicly via social media. I have a small team — an assistant and project manager, a social media coordinator and a freelance writer. They assist with client projects — I manage my social media myself. Whom do you follow and why? I follow a variety of people in the industry — but I enjoy looking outside the industry for inspiration and thought leadership, like Arianna Huffington. I use Twitter lists — I have lists for real estate, social media, thought leadership, media and more. This is the primary source of content for me, but I also find a lot of content via email newsletters I am on and Facebook. When we bought our house! Are you a social media all-star who’d like to participate in our profile series? Email contributors@inman.com!